As we age, our skin loses elasticity, becoming loose and less supple. Around the eyes, crow’s feet and excess skin in the upper eyelids reveal this aging process, contributing to a tired and worn out appearance. Fortunately, upper eyelid blepharoplasty is a minimally invasive and extremely effective method to restore a more youthful and rested look. Drooping eyelids, or ptosis, may be congenital, the result of an injury or acquired over time as muscles thin and stretch through the normal aging process. This drooping occurs when the muscles that lift the eyelid are not strong enough to do so properly and may require surgical repair. Individuals who suffer from ptosis commonly complain that they always look “tired” and because of the constant effort to raise the eyelids, may experience fatigue and tension headaches. Lower eyelid bags and dark circles are two very common reasons patients seek a consultation with our oculoplastic surgeons. These bags and circles lend to looking older and fatigued, and are impossible to hide behind makeup. Genetics, variations in anatomy, excess sun exposure, aging and herniation of orbital fat can all be reasons why the problems exist. Our treatment approach also varies according to the needs of each individual. Applying expert knowledge, skill and state-of-the-art technology, Dr. Kozlow develops a customized plan that will bring you back to your natural, youthful appearance and help you maintain that look long term. 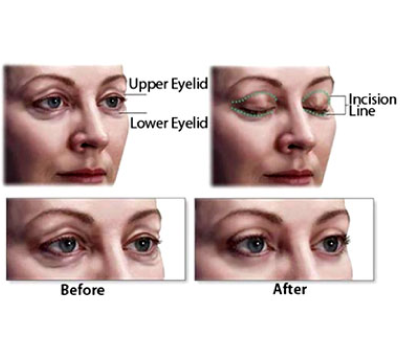 Other reasons for lower eyelid surgery include Entropion and Ectropion. Entropion is the inward turning of the eyelid, usually the lower, causing the lashes to rub against the cornea (the clear surface of the eye). Patients complain of eye pain, excessive tearing, redness and irritation caused from the rubbing lashes. Left untreated, entropion could lead to permanent damage to the cornea and some vision loss. Ectropion is an outwardly turned or sagging lower lid. As the lid sags away, the eye is exposed, and patients experience dryness and excessive tearing. In some cases, surgical repair of the tendon that holds the eyelid up in a normal anatomic position increases the field of vision by removing obstruction caused by the drooping lid. Patients notice improvement in their ability to see peripherally, feel less fatigue and appear more alert. 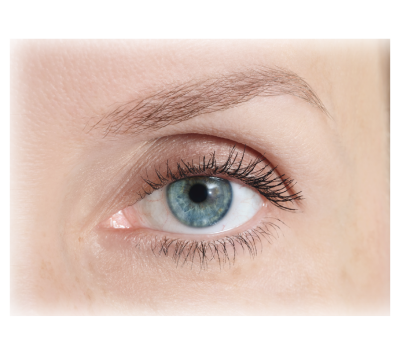 In extreme cases of excessive skin in the upper eyelid, a “hooding” effect of skin hanging over the eyelashes may obstruct peripheral vision. Patients notice improvement in their ability to see peripherally, feel less fatigue and appear more alert. Not all cases are covered by insurance. It becomes medically necessary to perform the surgery when the lids obstruct the patient’s ability to see peripherally. Often, patients are not aware of the obstruction or how to gauge the severity, so it is best to have a consultation with a physician to make this determination.